Ukrainian President Petro Poroshenko has issued a decree partially reshuffling the country's National Security and Defense Council (NSDC). 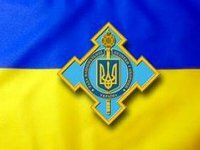 "Under Part 4 of Article 107 of the Constitution of Ukraine, I order that the following persons be included in NSDC - National Bank of Ukraine Chairperson Valeriya Hontareva, Foreign Minister of Ukraine Pavlo Klimkin and Ukrainian Armed Forces Commander and General Staff Chief Mykhailo Kutsyn," the presidential decree says. Ukrainian Prosecutor General Vitaliy Yarema was added to the council as well. At the same time, Andriy Deschytsia, Stepan Kubiv and Oleh Makhnitsky were excluded from NSDC. The document comes into force on the day it is published, the presidential press service said.